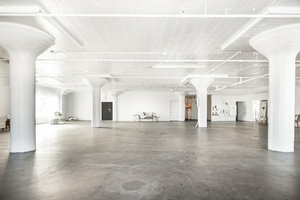 Situated in busy Fashion District close to S. Los Angeles Street, this space is an excellent location for brands to host a Fashion Showroom or Art Exhibition. 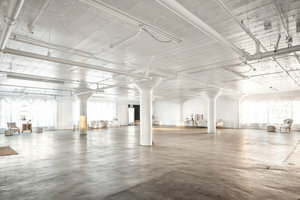 Housed in a colorful building with an elegant entrance, this space is expansive with a creative feel. 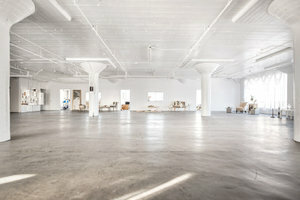 The interiors here feature modern polished concrete floors, white walls and high ceilings. 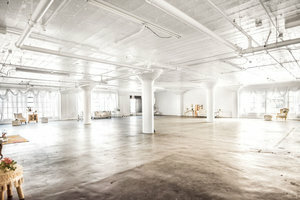 It is also well-equipped for a variety of needs with chairs, restrooms and a sound system. 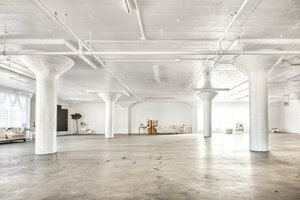 Surrounded by designer retailers, this space is great for fashion brands and artists to make an impact in a fashionable setting.